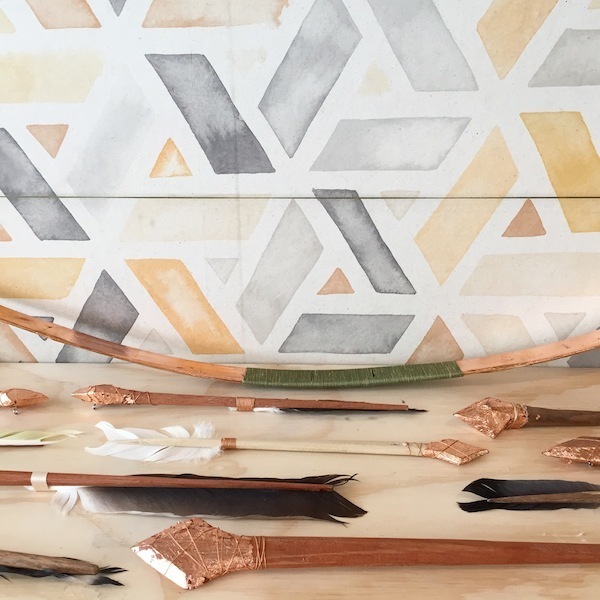 While she had only been working as an interior designer for just over a year, Aleisha Lancaster was getting frustrated that she couldn’t source the types of products she wanted for her clients. They were either too expensive, mass-produced or replicas. And so she set herself a challenge. The result was opening Shop U, selling beautiful yet affordable handcrafted wares. Initially it was set up as an online space, and since December it has been open to the public as a bricks and mortar store in Sydney’s Bondi Beach. “I wanted to surround myself with only beautiful items that mean something and have a story to tell,” she says. 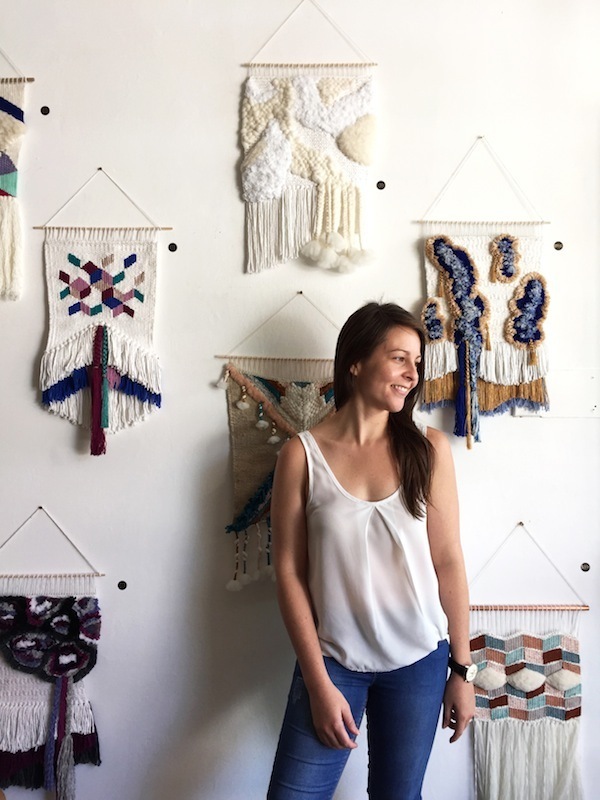 “I wanted to meet and converse with like-minded creatives and designers who are also passionate in this field.” As well as her stable range of homewares, Aleisha is exhibiting a “Locals for Locals” art exhibition until March 9. 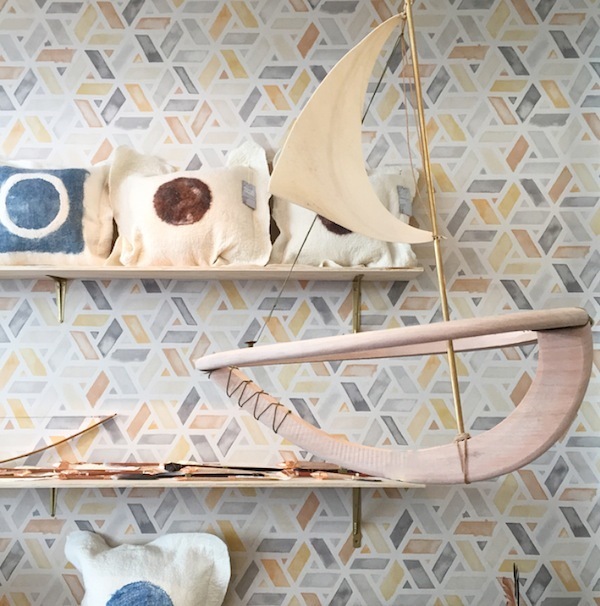 It features the work of boat builder Elise Cameron Smith, furniture designer Frag Woodall, illustrator Dana M Johnson, weaver Rachel Hannah Wright of Willow Brooke Design, textile designer and maker Grace Wood and furniture maker Elliot Holdstock. Which five words best describe you? Impatiently patient, ambitious, creative and passionate. How did you get your career start and what path have you taken since? Before pursuing my interiors dream, I actually joined the navy as a sailor working in administration. During my eighth year, I decided that I had enough business background and understanding of myself that I would finally commence schooling in interior design and decoration. My interiors career really began when I started working for myself under Unleished Interior Designs in early 2013 designing and decorating interiors for residents in the Eastern Suburbs of Sydney. By March 2014, I had launched an online store Shop U to sell the local and international pieces I was also acquiring for my clients. 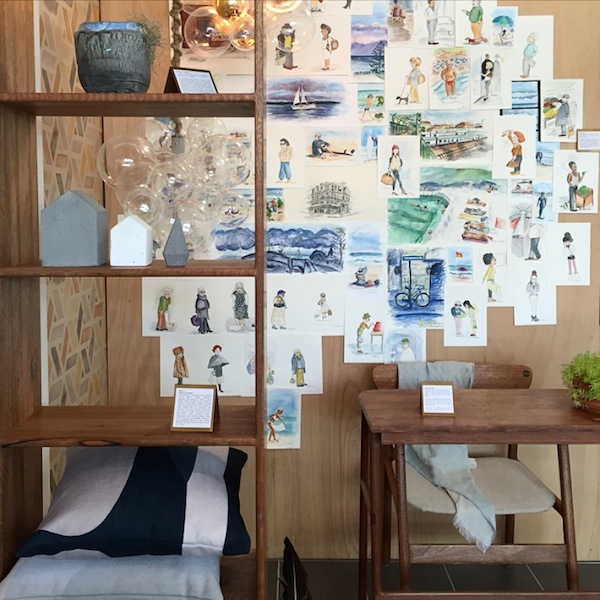 Now I’m happy to say that in only eight months, Shop U has now opened its boutique doorway to the locals of Sydney in it’s first bricks and mortar store selling unique handmade, customised furniture and homewares and providing services in interior design and decoration. 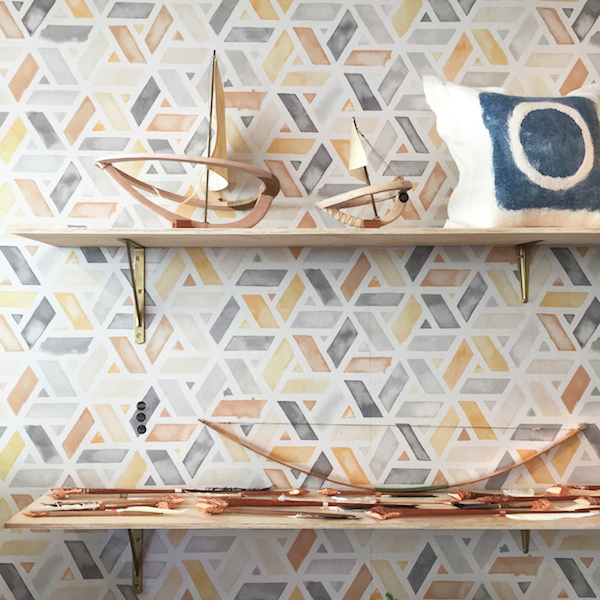 Shop U is my chance to focus on helping local and international designers and creatives bring their beautiful products to the retail scene. What’s the best lesson you’ve learnt along the way? I have learnt many lessons. But the best and probably the worst is to understand that not everything happens at once, all good things take time. What’s your proudest career achievement? I have been proud of every move I have made in my career; every step has been a progression to where I am now. I am a very lucky person. What’s been your best decision? A career change and opening up my own storefront. Who inspires you? All business entrepreneurs; it takes guts to get out there to pursue an idea that started small and to make it work. I also admire stylists, designers and architects who are distinctive, creative and who push boundaries. What are you passionate about? Unique product, people and places. Which person, living or dead, would you most like to meet? Coco Chanel for being an independent woman who influenced many. What dream do you still want to fulfil? I would love to travel more for work, especially Europe and to be a part of an interiors TV series. So far in the area, we have Bondi Vet, Bondi Rescue… maybe Bondi Interiors is on the way! What are you reading? Countless emails and interior magazines.